You probably have a carabiner sitting around; actually, it’s probably clipped to your favorite backpack. Well, it’s time to replace it with something much more useful. 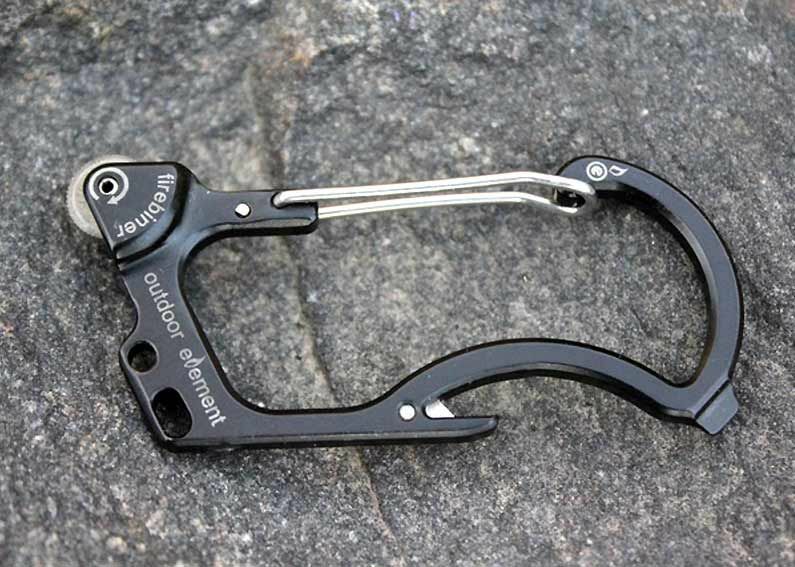 The folks at Outdoor Element have designed a multipurpose survival carabiner called the Firebiner. As you guessed by the name, it can be used to create a fire. Yes, it true! When you flick the small wheel that looks like those found on a lighter, it strikes a replaceable ferro rod, creating a spark so that you can ignite some tinder and get that campfire burning. But wait, there’s more! It even has a utility blade, bottle opener, and flathead screwdriver! It’s also rated for up to 50 pounds of gear. Always be prepared with the super useful Firebiner!